Reef Kingdom joins us all the way from Ogden Utah. He has been a regular store at Mountain West Reef Fest as well as other conferences and events. They continue to support the Conference as well as Wasatch Marine Aquarium Society. They Specialize in Aquarium Corals, Fish and Inverts. Jared Butlers name is world famous due to Rocky Mountain Frags. He has some rare corals that can only be seen on his site due to his amazing tanks, and ability to propagate corals! Welcome Jared ! Coming from ID we welcome Dybasty Coral Back to MWRF. Josh always brings amazing corals and its rumored that this year he is going to blow the roof off with what he is bringing. He always brings several tanks full of amazing corals and is the life of any party! You wont want to miss his booth! 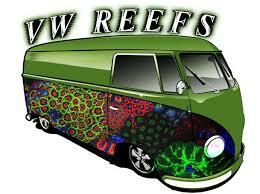 For the second time to MWRF we welcome from CALIFORNIA we welcome, VW REEFS. If you were there last year you know that he brings the best in his arsenal! Cant wait to see what he brings this year! Our retail store is home to the finest selection in saltwater, reef livestock and reef equipment in Utah. Our staff is dedicated to providing customers with the largest variety of choices, but high quality advice that will help you in creating your Aquatic Dreams! Check out our blog to see tanks we have installed and maintained, and information on the corals that we stock. If you are looking to get on to our prestigious maintenance schedule check out our list of packages available. We are excited to have Josh out again for his 7th year in a row! He joins us from Colorado. Gonzo’s Coral Frags was started because of a love of the hobby and the understanding that reef conservation is of utmost importance. They believe that stocking your tank with tank raised frags is the best way to be successful. Because they have been grown out in a tank they are much healthier and survive shipping easier than a wild picked coral. Also because frags can be less expensive than a mother colony they will be easier to afford and trade among hobbyists. We are excited to have OCD back again! They join us from SLC, UT. OCD Reefs provides a clean and professional environment where saltwater enthusiasts can feed their obsession. Their store in Salt Lake City provides saltwater fish, coral and aquarium supplies. With over 25 years of combined industry experience, They have built their business on honesty, reliability, and passion. They are not here to just make the sale, they are here to build a long-term relationship and earn your business. We are excited to welcome for the first time from California, Reefers Garage. Salt Water hobbyist and reef enthusiast living the dream chasing corals. They strive to provide high quality and brand name corals at prices all levels of salt water hobbyists can afford. Reefers Garage has been striving to provide the best possible pricing on Live Coral, including; sea anemones, acans, clams, frogspawn, branching hammer, mushrooms, montipora, lobos, sun coral, small polyp stony coral, zoanthids and many more exotic, brand name and rare coral. The Wasatch Marine Aquarium Society (WMAS) is a non-profit organization dedicated to the support of the hobby of marine aquarium keeping. They believe in conservation of coral reefs by promoting captive breeding and propagation of marine creatures and developing natural marine environments for our specimens. They promote responsibility and education of marine hobbyists. They have a monthly meeting featuring guest speakers, events, raffles, and fun. A Reef Oasis from Orem UT is the place for Clowns. If you are looking for the rare and beautiful take to them. They have everything from Fancy Longfin to Lighting Maroons. They are going to be selling fish and we are excited to see what Fish they bring!